Google has started rolling out the long-awaited feature for Google Duo- the search engine giant’s video chat platform. As reported by 9to5Google, web users of the Google Duo is now available. This means that users can now make video calls using the app over browsers including Chrome, Firefox and Apple’s Safari. The change is said to be a part of server side update and will automatically reflect in the user’s account. The report says that accounts that have received the web support for Google Duo should be able to see the new interface. For the ones who are yet to have access to web client will find themselves coming to the old Duo landing page. The new interface shows the list of recent contacts at the top with the list of all Google contacts cornered at the bottom. Notably, the Google Duo on web supports notification for incoming as well. According to the report, web interface of Google Duo is working for most chrome users and are able to access it via their non G-suite accounts as well. Though the company is yet to officially announce the change, it will be made available to all customers in coming days, it added further. In a related news, Chinese smartphone maker OnePlus recently announced that it will be using Google’s Duo video-calling service as a default app. “In the pursuit to provide a burdenless experience to its users, OnePlus will soon introduce Google Duo as a native function for video calls on its devices. 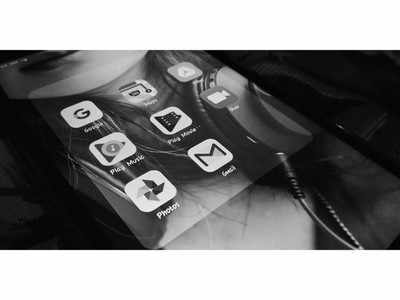 The incorporation of the new feature will enhance video calling utility for its users thus providing OnePlus’ promise of refined, fast and smooth Android experience,” says the firm. It will be introduced as part of a stable OxygenOS update this year that will make Duo the default video calling app for OnePlus 6T, OnePlus 6, OnePlus 5T, OnePlus 5, OnePlus 3T and OnePlus 3 users.